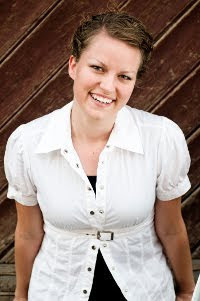 Krista Lynne Jensen: Thursday Authorial: Andrea Pearson & 50 followers Contest! Thursday Authorial: Andrea Pearson & 50 followers Contest! Welcome to this week's Thursday Authorial! I've invited new author, Andrea Pearson, to be my guest here today. Actually, it was her brilliant idea to swap interviews, so you can find me on her blog today, too! K: Tell us a few things about yourself. A: I'm a Utah native—have lived here nearly my entire life, minus the year and a half I spent up in Toronto Canada, serving the Spanish people. I love biking (not mountain biking, though), music, watching movies and basketball, and hanging out with my family and close friends. K: I know, like me, you are fairly new to all this publishing biz. What inspired you to write seriously? A: The story of Jacob, my main character, actually. I wanted to share it with everyone—wanted it to be loved by more than just myself and my family. K: It's a writer thing. A compulsion to tell the story to anyone who will listen. What is your favorite part of the writing process? What was a surprise? A: My favorite part would be the excitement which comes from a well-written scene: when the words flow from my fingers like maple syrup onto pancakes (I'm hungry right now. Can you tell? :-)). This usually happens in the intense parts—my favorite parts. Surprises come when what I'm writing leads somewhere I didn't foresee, and I actually like what has happened. What could be better than that? K: "Like maple syrup..." I love that. We'll have to do something with that later... #blatantforeshadowing You have a book coming out this summer. What can you tell us? A: Nothing. Absolutely nothing. #FBIgovernmentsecret. Okay, kidding. It's the story of a fourteen-year-old guy named Jacob who is pretty average. He wants to try out for his high school's basketball team, and nothing will stop him from doing so. Except vicious wolves who chase him into a completely different world full of strange and magical creatures. The people of this world know all about Jacob already—and that he possesses magical abilities. They ask him to retrieve a stolen, magical key, and he must do so, or else everyone he loves will be in danger. 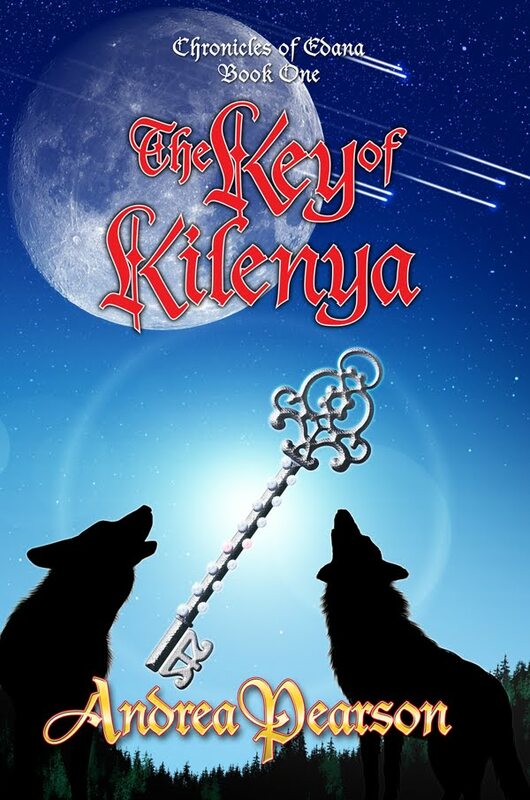 The Key of Kilenya, published by Valor Publishing Group, is coming out July 6, 2010. I'm thrilled, and can't wait to share Jacob's story! K: What do you love about The Key of Kilenya and how is it different from other things you’ve written? A: I really like the bad guys—the Lorkon. Developing their history was difficult and exciting, and trying to understand why they'd do what they do was hard. But, as with all such things, I feel like I truly know them, and more importantly, I know WHY they are that way. Not all back history ends up being shared with the readers, but I hope theirs will be. I also love the history behind who Jacob is and where he got his magical abilities. The readers will discover this along with Jacob through the entire series—six books in total. This book is different from other things I've written in that it isn't a business letter or a legal document. Nor is it a research paper for an ornery professor. :-) It's my first attempt at creative writing, and, at first, I really had to stretch myself to figure out how to pull it off. Luckily, I soon got into the “swing of things” where creative writing is concerned. K: Six books! Which one are you working on one right now? K: Where can we find your book? A: Right now, since my first book hasn't been released yet, you can pre-order it through my website, or through Valor's website. It'll also be available through Amazon.com, and Barnes and Noble, and in other bookstores when it's released. K: Very exciting! I bet you can't wait to hold it in your hands. K: We met through Twitter, and now we're Facebook friends. Has blogging and social networking (Twitter, Facebook) influenced you as a writer? A: Most definitely! I'm still pretty new to the social networking aspect of being a writer, but I've been so happy with what I've found. Twitter is the best way to meet other authors and to get to know them. Where Facebook is concerned, I'm a little weird: I never delete friends. First, it was because I was too lazy to go through and take off “so and so” who I haven't talked to in over four years and only met once, but now, I won't ever do that sort of thing. Some of my best beta readers were found through Facebook friends I hadn't talked to in a long time—some I'd only talked to once my entire life. K: You never delete friends? Aww. That could be on a Hallmark card. #careerbackupplanNOTthatyoullneedone Any advice for aspiring authors? Now, #Wherewerewe? Advice. First, don't just write the first draft and call it good—take a break if you need to, but make sure you polish it until it shines like the top of the Chrysler building. Good writers aren't born, they're developed through hard work and practice. Next, start building your social platform now. Don't wait until your book is finished, until you've got a publishing contract, or until your book is released. It's too late then. Well, not too late, but it will take a lot of hard work to get up to speed. Get a Twitter account, a writer's blog (a blog where you talk mostly about writing. Can be your personal blog), and, of course, a Facebook account. Last, follow people who know how books inside and out. I strongly encourage anyone serious about writing to follow Nathan Bransford (both his Twitter account and blog). Most every author will agree: he really knows his stuff. K: I follow him and he is GREAT. Solid advice. Rachelle Gardner is another one I like. Next question: If you could be a character in any book, who would you be? A: Hmmm. Good question. Possibly Hermione—I think I tended to be a know-it-all as a kid, and I would've fallen for Ron, too. :-) Or, of course, Elizabeth Bennett, or Jo from Little Women. Andrea, thank you so much for visiting my blog! K: Now, one last thing. 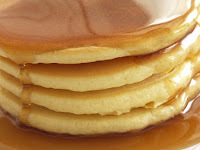 You mentioned maple syrup before and I can't help but wonder if we should give our readers a little morsel of a contest? Because, and correct me if I'm wrong, doesn't maple syrup play a part in your novels? A: Yes, it does. It has uber-cool powers and gets used multiple times in the series. b)What must Andrea's hero retrieve to save those he loves? c)What is Krista's made up pen name? I really enjoyed this interview. Andrea is actually a good friend of mine. We met through working at the temple. I'm so excited for her and she's inspired me to write a book of my own. I've written one chapter now and I have her to thank for the motivation. I am going to follow your blog and hope to become friends with you. and If you had any writing tips every once in a while that would be great! Melissa, thanks for following! You get an extra entry in the contest as my 50th follower! It's so great to hear you are writing. My blog has a ton of tips I am learning as I go. Simply click on a topic in the "Topics" cloud in my sidebar. I post more tips every Tuesday! There is so much information to be had through authors and publishers who are willing to share. Good luck in the contest! Reading this interview was like being in the same room as the two of you and giggling over your repartee. LOVED it and can't wait to get my hands on both your books. I won't enter the contest though, as shipping up here is PRICEY and I wouldn't wish it on you.